India is the largest country in the Indian Subcontinent and shares borders with Pakistan to the west, China and Nepal to the north, Bhutan to the north-east, and Bangladesh and Myanmar to the east. Sri Lanka, the Maldives and Indonesia lie to the south-east in the Indian Ocean. It is the seventh largest country in the world by area and, with over a billion people, is second only to China in population. It's an extremely diverse country, with vast differences in geography, climate, culture, language and ethnicity across its expanse, and prides itself on being the largest democracy on Earth. BharatanatyamIndia has a rich and diverse mix of culture and tradition, dominated by religious and spiritual themes. It's probably the only country where people of so many different origins, religious beliefs, languages and ethnic background coexist. There are 3 main sub-cultures: North, East and South. Most of the ancient Indian culture is preserved in the South which is famous for its classical arts, such as Carnatic music and classical Indian dance. The Northern part of India has a rich heritage of Hindustani Classical Music and vibrant dance forms. Art and theatre flourish amongst the bustling cities of the country, against the backdrop of the ever expanding western influences that floavour life in the large metropolises of India. India's tourism ministry has started a program to sensitize and train participants of the tourism industry to show more courtesy and to display sensitivity to the needs of tourists. It has named the initiative Atithi Devo Bhavah, which is an ancient Hindu dictum meaning "Guest is a God". The term will develop as a brand, to certify that a service provider ensures a certain minimum level of quality. Look out for the badge or sticker with these words when you are searching for taxi drivers, tour operators, etc. India is a cricket-obsessed country and cricket is in the blood of most Indians. Seeing kids playing cricket in parks and alleys with rubber balls and makeshift wickets is an extremely common sight. About half-a dozen Indian stadiums have a capacity of over 45,000 and watching an international cricket match can be quite an experience. While the facilities in the stadiums may not be too spectator friendly (old benches instead of proper seats with backrests, monochrome scoreboards and lots of litter), the atmosphere of most matches is electrifying. Nearly all international matches have sellout crowds, and it is quite normal for fans to bribe officials and make their way in. Starting ticket prices are quite cheap; they can be as low as Rs 250 to 300 (US$6-8). India and Pakistan are all-time arch rivals, and cricket matches between the two matches attract up to a billion TV viewers. There's not much money in cricket compared to football in Europe or the NFL, but unusually enough the Indian cricket team is the richest in the world in terms of sponsorship. If you want to buy yourself merchandise, Nike (with a limited network in India) is the kit sponsor. Cheap fake ones can be bought at most flea markets for around Rs 200. There are three national holidays (Republic Day, Independence Day, and Gandhi Jayanti) which occur on the same day every year. Most other religious holidays occur on different days, because the Hindu and Islamic festivals are based on their respective calendars and not on the Gregorian calendar. Here is a list of important holidays. The dates given are correct for 2008. Not all holidays are celebrated with equal fervour, or celebrated at all in all regions of the country. Different regions might give somewhat different names to the same festival. Check the state or city you are visiting for information on whether there will be closures. To cater to varying religious practices, offices have a list of optional holidays (called restricted holidays by the government) from which employees are allowed to pick two, in addition to the list of fixed holidays. This may mean thin attendance and delayed service even when the office is officially open. January 15 — Makara Sankranti. Optional holiday, no disruptions. January 20 — Muharram, Islamic new year. Might be an optional holiday. January 26 — Republic Day. Celebrates the adoption of the constitution and the day India became a republic. Big military parades in major cities. March 3 — Holi, the festival of color. On the first day, people go to temples and light bonfires, but on the second, it's a nationwide waterfight combined with showers of colored powder. This is not a spectator sport: as a visible foreigner, you're a magnet for attention, so you'll either have to barricade yourself inside, or put on your most disposable clothes and join the fray. Alcohol and Bhang are often involved and crowds can get rowdy as the evening wears on. Street celebrations are rare in South India, though private celebrations occur. March 19 — Ugadi/Gudi Padwa. New year according to the Hindu lunar calendar. Some religious observances, no major disruptions. March 27 — Ram Navami. Birthday of Lord Rama. Some religious observances, no major disruptions. April 6 — Good Friday. Christian festival, may be an optional holiday. April 14 — New Year per Hindu Solar calendar. Some religious observances, no major disruptions. May 1 — Martyr's Day / Labour Day. Holiday in most offices. May 2 — Buddha Purnima, birthday of Buddha. Some religious observances, an optional holiday. August 28 — Raksha Bandhan. Sisters tie the rakhi or the sacred thread of love on their brothers' wrists and the brothers give gifts and promises of protection in return. Holiday in Northern India. September 15 — Vinayaka (Ganesha) Chathurthi - Celebrates the birth of Lord Ganesha. The most important festival in Maharashtra. Festivities go on for 10 days during which the idol of Ganesha (or Ganpati) is worshipped at homes and every street corner. On the tenth day (or earlier in some cases) it is ceremonially immersed in the sea or a lake after being taken out in a lavish procession. A sight to watch, but traffic is disrupted for those days in cities like Mumbai and Pune. October 2 — Gandhi Jayanti - birthday of Mahatma Gandhi. National holiday. October 2 — Ramzan-Id/Id-ul-Fitr. Muslim religious observances. Holiday in many places. October 9 — Dussera/Vijay Dashmi/Durga Pooja/Ayudha Pooja - locals worship the deity Durga and perform pooja for their objects of daily use. Workers are given sweets, cash bonuses, gifts, new clothes etc. It is also new year for businessmen, when they are supposed to start new account books. The nine nights of Navratri before this comprise the second most important festival in India. In some places like West Bengal, it is the most important festival. There Goddess Durga gets the same treatment that Ganesha gets in Maharashtra (see above). In the north Ram Lila celebrations take place and the slaying of Ravana by Lord Rama is ceremonially reenacted. In Gujarat, the festival is celebrated by dancing to devotional songs and religious observances like fasts extended over a period of 9 days. Diwali LightingNovember 9 — Deepawali (or Diwali) - Festival of lights, celebrates the return of Lord Rama to the capital of his kingdom, Ayodhya after an exile of 14 years. Probably the most lavish festival in the country, reminiscent (to US travellers at least) of Thanksgiving (the food) and Christmas (the shopping and gifts) combined. Houses are decorated, there is glitter everywhere, and if you wander the streets on Deepawali night, there will be firecrackers going off everywhere including sometimes under your feet. December 25 — Christmas. Religious observances, holiday. Touts are ubiquitous, as in many developing countries, and you should assume that anyone 'proactively' trying to help you has a hidden agenda to part you from your money. During your travels in India, you will be deluged with touts trying to get you to buy something or patronize particular establishments. There are a myriad of common scams, which range from telling you your hotel has gone out of business (of course, they'll know of one that's open with vacancies), to giving wrong directions to a government rail ticket booking office (the directions will be to their friend's tour office), to trying to get you to take diamonds back to your home country (the diamonds are worthless crystal). There will also be more obvious touts who "know a very good place for dinner" or want to sell you a chess set on the street. Completely ignore him and go about your business until he goes away. This may take quite a while but patience is key to managing India. For the most persistent touts, an angry glare and cursing or threatening to call the police will send them packing. Sights—The 12th-century tower of Qutub Minar; Mahatma Gandhi's memorial at Raj Ghat; the architectural wonders of the Red Fort, Jama Masjid, Hazrat Nizamuddin Auliya Dargah and Taj Mahal (in nearby Agra); Humayun's Tomb; the India Gate; Hauz Khas Village; the Akshardham Temple. Museums—Miniature and mural paintings at the National Museum; work by modern Indian artists at the National Gallery of Modern Art; 19th-century steam locomotives at the National Rail Transport Museum; the National Gandhi Museum; Shankar's International Dolls Museum. Memorable Meals—Tandoori chicken at Moti Mahal; kebabs at Karim's; south Indian appam and chicken stew at the Coconut Grove; seafood at Swagath. 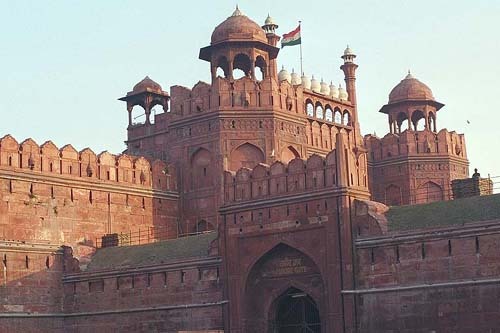 Late Night—The sound-and-light show at Purana Qila or at Red Fort; a Bollywood spectacular at the PVRs; clubbing at Ministry of Sound or at Elevate. Walks—Nehru Park; Lodhi Gardens; Raj Ghat, extending to the Forest of Peace and the memorials of Prime Minister Jawaharlal Nerhu and his family; the Garden of Five Senses near the Qutub Minar in Mehrauli. Especially for Kids—Train rides and model train displays at the National Rail Transport Museum; the National Zoo; the light-and-sound show at Red Fort; Appu Ghar, an amusement park. Sights—The Gateway of India arch; a boat ride to Elephanta Island; Chatrapati Shivaji Terminus (formerly Victoria Terminus) around noon so you can watch the fantastic swarm of dabawallahs (members of the Bombay Tiffin Box Suppliers Association) deliver lunches to office workers; Haji Ali Mosque at low tide; Mahalaxmi temple at Mahalaxmi; Siddhivinayak temple at Prabhadevi; the city lights at dusk along Marine Drive (officially Netaji Subhash Road); the dhobi ghat (Mumbai's cheapest laundry service) at Mahalaxmi, where washermen work on huge amounts of laundry. Museums—Prince of Wales Museum for exhibits recounting not only Mumbai's history but also some of India's, including the cannons that gave 21-gun salutes to British monarchs entering India. Memorable Meals—Chetana for its thalis (a lavish spread of Indian food); Masala Craft for delicious Indian cuisine accompanied by live music and dance; Rajdhani for anything vegetarian. Walks—An evening stroll on Chowpatty or Juhu beaches; a walking tour of the Hanging Gardens and Veermata Jijabai Bhosale Udyan (Victoria Gardens) and Prani Sangrahalya; a stroll along Cater Road or a jog in the park in the upmarket Bandra section, on the coast of the Arabian Sea. Especially for Kids—The latest Bollywood spectacular or the filming of such epics at various movie studios (passes required for entrance); the caves of Elephanta Island, where monkeys and villagers both smile at tourists; an interesting presentation of major events in Mahatma Gandhi's life, the father of the nation, through miniature figures at Mani Bahvan; Taraporevala Aquarium on Charni Road; rides and water features at Esselworld. Delhi's most famous monument. 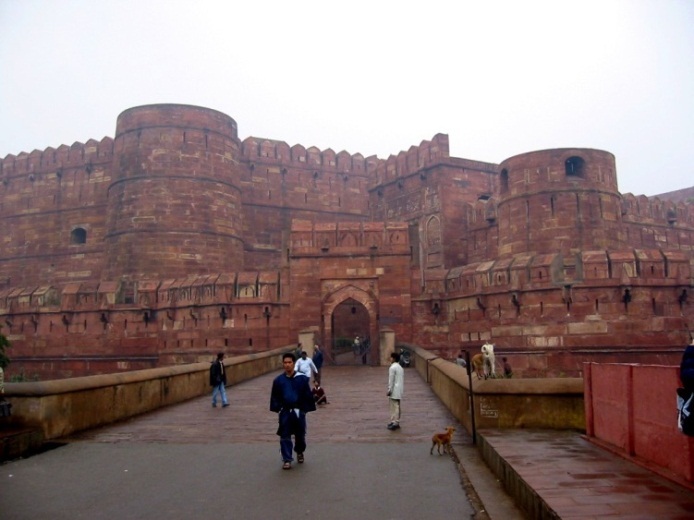 Its walls, which stretch for over two kilometers, were built in 1638 to keep out invaders. On 15th August of every year, here on Red Fort, Indian Prime Minister deliver his speech about progress of India in last years. 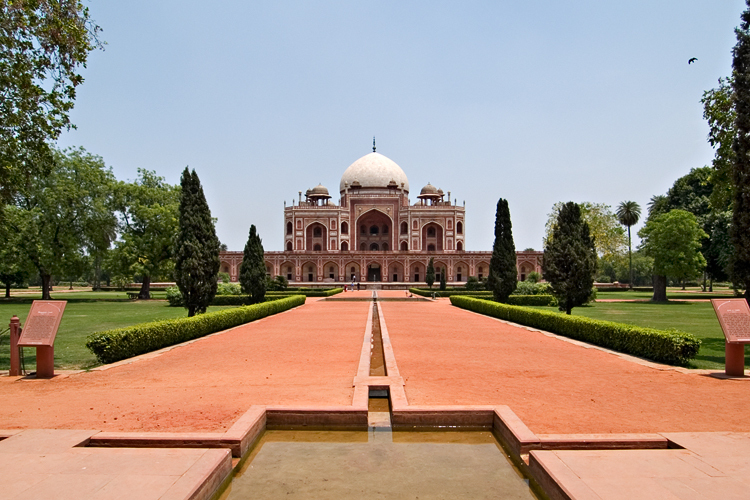 The tomb was built in 1570, and house the body of the second Muslim emperor, Humayun. 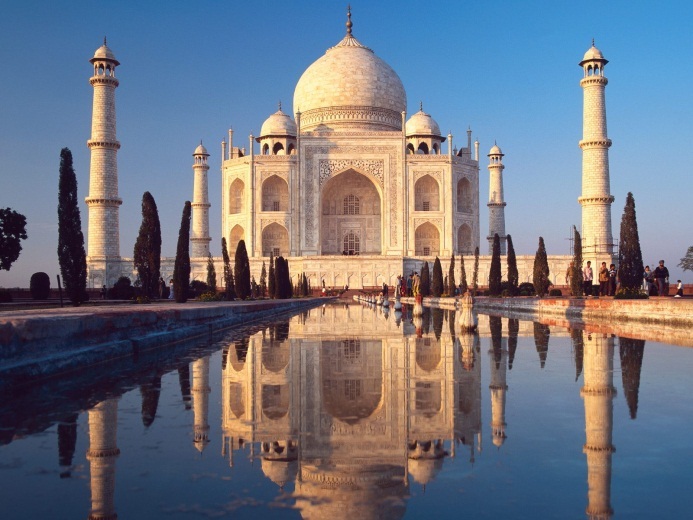 It is look like Taj Mahal because it was inspiration for Taj Mahal’s creation. 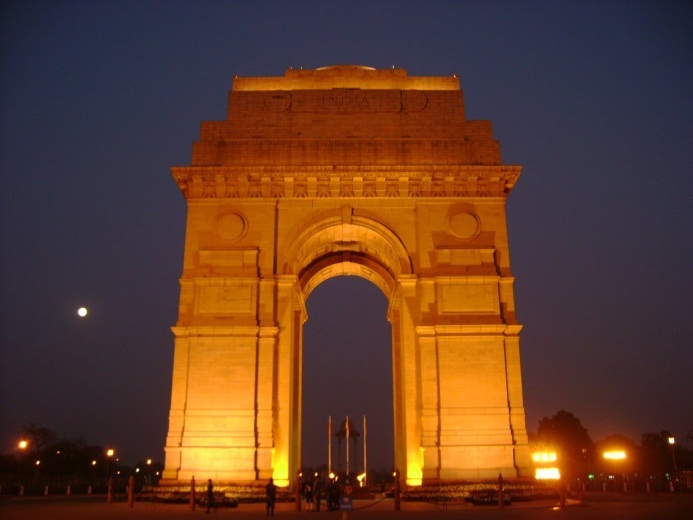 India Gate at the center of New Delhi is a war memorial, built in memory of the Indian soldiers who lost their lives fighting for the British Army in World War I. At night it glows warmly under floodlights, and the gardens that line its boulevard are a popular place to enjoy a warm summer's evening. 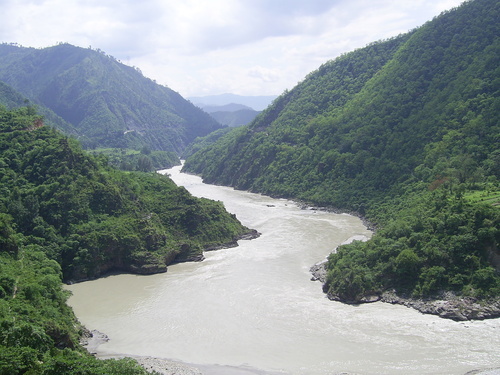 India has many rivers like Jumuna, Kaveri, Satluj so on. Mostly use for agriculture and fishing, electricity production. But, The Ganga is Holy river. Every year millions of people visited Ganga, prey their for their and their families wellbeing and take bath on bank of this river. People took water from Ganga to their home. Ganga water never get spoil. You can contain it for long time without any treatment.